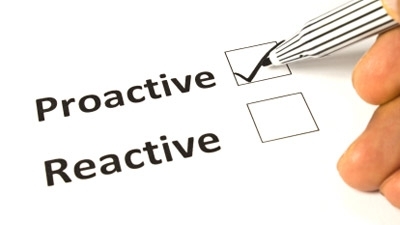 In preparation for a presentation to a client recently, I was asked to stress proactive vs. reactive service. They complimented their account reps on being very good at reactive, but saw the need to go to the next level and be more proactive. What are some steps for an organization wanting to be proactive? Does your customer like to think and reflect, or are they a Nike Just Do It person? Being proactive with the former type may require sitting on your hands a bit and letting them have time to think about the customer service solution you have proposed. The Just Do It customer wants you to act and act quickly. Services that will save time or money or offer security or convenience may be of benefit to your customer. Proactive customer service is your fastest road to a cross-sell if you are willing to listen well for additional needs. These needs must be explored if you are a good cross sell detective. A great example of proactive service can be found in my Common Sense Service book. I discuss a time when renting a car in San Antonio and asking for directions to The Alamo. The representative said she had ‘no idea’ how to get there. I contrasted that with another rental car that pulled out a sheet of pre-printed directions when I asked how to get to a specific location. By anticipating the needs and using previous encounters with customers as their guide, they were offering a high level of proactive customer service. What about you? Are you simply reacting to customer requests or going the extra mile and being proactive in every customer service close encounter?